TB HDMI Player is the next generation of digital delivery method for event filmmakers. Currently, USB Flash Drive is a popular medium as final deliverables. However, USB thumbdrive is mostly for computer playback. Viewing films on television is challenging as there is not standard on video playback capability on TV's USB port. USB Thumbdrive delivery also lack the presentation touch. TakyBox HTML5 Menu Generator offers the familiar DVD style menu navigation to USB and Online delivery. TB HDMI Player is an Android based HDMI Dongle. It works on ANY TV with HDMI port delivering a true PLUG-AND-PLAY TURNKEY playback of digital film. The experience is close to watching DVD and BluRay on television. 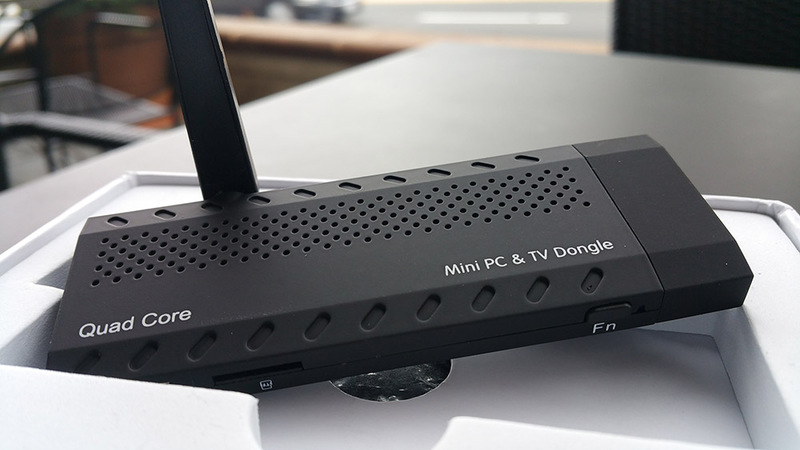 Viewer only need to plug in TB HDMI Player to the TV's HDMI port, there is no configuration or setup is required. TB HDMI Player is perfect for event filmmakers to deliver their films as it provides a true TV viewing experience. TB HDMI Player system software locked down user operation limit to selection of menu items and viewing. User will not be able to change system settings or remove important system component by mistake. 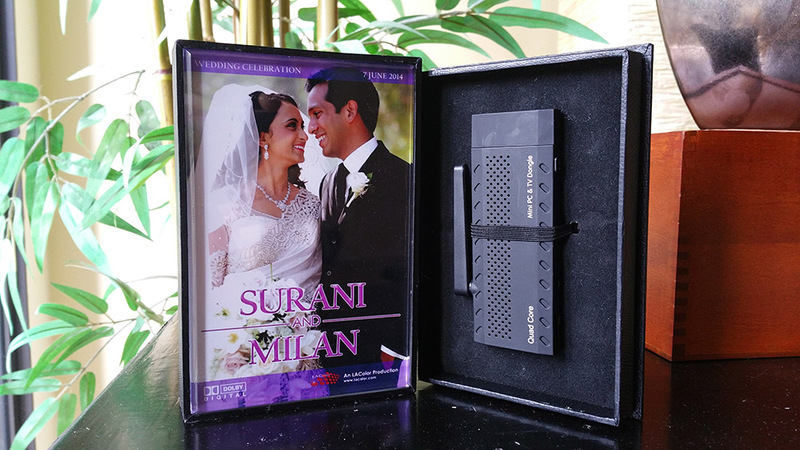 With our FlashBox 4x6, TB HDMI Player will make an impressive package to deliver to client especially for wedding events. TB HDMI Player accepts any USB mouse or any USB pointing device. However, using our bundled TV style remote control, it will truly preserve the entire DVD movie watching experience using TB HDMI Player. With the navigation keys on the remote control, viewer can navigate through buttons on TakyBox menu to select menu, chapter, play movies etc. A convenient Back button for navigate back to previous selection menu, or to stop movie playback in the middle. It can also control playback volume with the volume control up and down keys. *** TB HDMI Stick now includes the TV Remote Control. No More 4GB File Size Limit Barrier! TB HDMI Player comes included a 8GB MicroSD card (support up to 32GB card) that can be formatted as NTFS. By not formating MicroSD card in FAT32, film maker can deliver their film using higher bitrate for better quality. There is no more 4GB per file size limit. ExFAT file system will be supported in the future. 8GB MicroSD Card slot for user storage. TakyBox HTML5 Menu Generator is required (not included) to create menu to be used with TB HDMI Player. Remote Control bundled. Two AAA Batteries required (not included). Do you have a remote with the HDMI Dongle? I don't want to deliver this with a clunky mouse. I'd like a package with the HDMI Dongle, TakyBox HTML 5 Menu Generator, and 4 - Flash Drive Boxes. It would be nice to offer a package with all the above. I also have a request, I would prefer a metal or wood flash drive case instead of plastic. If I have a client paying 5 grand or more, I'd like an upgraded packaging for these clients. Replied by LA Color Pros Hi Brent, there is already a remote in place. It will be an option to add to the TB Dongle. Our FlashBox 4x6 is not a plastic box. It is a wood box with faux leather finishing. The front is a heavy acrylic. The box looks elegance (it doesn't look cheap at all). first of all great job with this, exactly what we've been looking for! now my question- is the 8gb micro SD removable from the dongle? and are larger capacity SDs compatible? Replied by LA Color Pros Hi Alex, thank you for your message. Yes the 8GB Micro SD card is removable. You can replace it up to 32GB. In fact, if you need it with 32GB, I can replace it for you with $8 more. Posted by Paul Pizzica on 4/19/2016 10:48:00 AM Hey Taky, this looks right up my alley for delivery! Do I need to purchase the menu generator to get it working, or will my smart TV just start playing the file or files sequentially on the card? I don't think I need the menu generator at this time for my needs, but might offer it as an an upgrade feature if it is not necessary for start up of files. Thanks. Posted by Paul Pizzica on 4/19/2016 1:12:00 PM Definitely seems worth the investment. I really want to present 4k videos, or 2.5k in the very near future. The usb option is limited here for playback due to bandwidth. Does the TB dongle hdmi input allow the playback of 4k video though the use of Takybox? What is the straight answer on that? Thanks for the fast reply. Replied by LA Color Pros There isn't a USB bandwidth option indeed. Almost all USB can handle 40mbps data transfer rate. And currently there are TakyBox customers who is delivering 4K using TakyBox. Current TB HDMI Player only support up to 1080K output. But in the future, it will support 4K. Since it is the same hardware, previous Dongles can be upgrade through a ROM update. But that shall not be an issue for customers who you already delivered. Just like those customer who received DVD, they won't be receiving 4K BluRay because that's not what they paid for. Posted by Paul Pizzica on 4/19/2016 2:43:00 PM Okay, last thoughts for the day. How are TakyBox customers delivering 4k? Through the mirroring option you discuss with AppleTV, Chromecast....and/or having vimeo host the 4k file as the other option? Also, the HDMI spec 2.0 already supports 4K, correct? It would be an upgrade to your dongle then, like I believe you say here. And lastly, the TB dongle through HDMI would give me better data transfer rate then USB? What is the transfer rate through your SD card to HDMI to a smart TV's HDMI port? I don't necessary care about file size if the transfer rate is not better than USB. Thanks. Replied by LA Color Pros 4K can be delivered with USB, all video inclusive. In up coming TakyBox 3.0, you can deliver online with your video stored on YouTube and Dropbox. For 2K support, the OS will need to upgrade to Android 5.1. There're other technical spec to check if they are sufficient to run Android 5.1. The TB Dongle is considered a consumable items that you don't keep as you use it to deliver your file to your customer. Therefore, we might not even have a ROM update at all. We will just have two lines of TB Dongle. I have tested encoding video in 40mbps and it plays smoothly with the TB Dongle. For regular USB delivery, since most consumer electronic reads FAT32, and if you want maximum TV USB port compatibility, the USB drive needs to be format in FAT32 which allows per file up to 4GB. Therefore, using high bitrate, your video file will be a short video time wise. Posted by Jeremy Gadd on 8/28/2016 2:24:00 AM This looks absolutely brilliant, but if I were to supply these for my customers do they need the wedding video on a separate USB stick if they want to play it back on a computer? In other words, to get playback on BOTH computer AND TV, will they need the movie on the TB Dongle and a USB drive? Replied by LA Color Pros The dongle comes with a 8GB MicroSD card. All the TakyBox menu and videos will be on that card. Therefore, you can provide a MicroSD to SD card adapter (usually comes free with MicroSd card). Or a USB card reader. Then your client will be able to watch the same content on computer. Posted by Adam Mann on 8/2/2017 9:26:00 AM Hi, I already use a menu generator for my current USB drives (html5 menus) would I be able to use that menu still or would I have to use the Taky menu console ? currently I use the same menu for my USB and online delivery and would like to keep the same menus as I have already invested the time and money into them. Does the Taky HDMI box just read a standard html format (making sure it follows all the standards) ? Replied by LA Color Pros The HDMI TV Player is designed to work with ONLY TakyBox Menu Generator. It will not work with other menu generator. If you use TakyBox menu generator, you will be able to deliver online, on USB flash drive, as well as this HDMI TV Player. Posted by Steve Burke on 9/25/2017 9:14:00 AM Hi Taky can the HMDI take micro SD cards larger than 32gb? Also can I order and ship to UK? Replied by LA Color Pros Hi, currently it accepts up to 32GB card only. We are working on a new version of the HDMI TV Player that accepts 64GB card and exFat. But it is not available yet. It would be a few months before we can have it on sale. Posted by jorge on 1/22/2018 10:00:00 PM hola, el enlace donde se hacen los menus es solo para diseñarlo? ya despues mi cliente lo puede repruducir en cualquier pantalla tv? cuanto gastaria en pesos y podrian enviar a mexico? Replied by LA Color Pros TakyBox is a software generate HTML files to render DVD style menu and video playback. It requires a browser that support HTML5. TV does not have browser. TakyBox itself is not for TV playback. 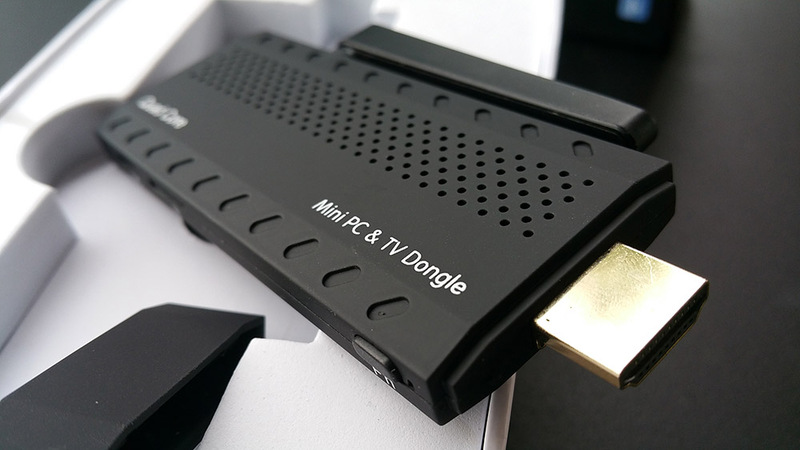 Before of the limitation of TV USB port, we created this HDMI TV Player for TakyBox users. After you created a TakyBox project, export the zip file to store to the HDMI player. Plug to any TV HDMI port. It will start playback with menu and video playback. No internet is required. 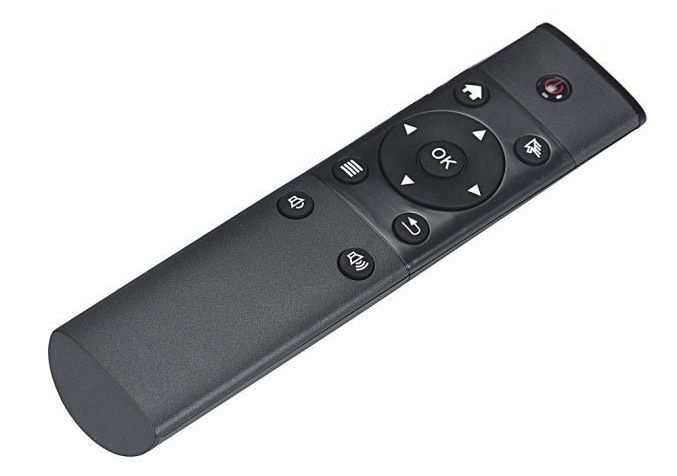 Instead of yet another remote, how about an app that works on iOS and Android and provides functionality similar to the physical remote? 16GB Smart Wireless Flash Drive with WIFI Hotspot for PC, Mac, Smart Phones and Tablets.